Voxtron, an international manufacturer of communications software, was looking for a better way to utilize the high-performance audio characteristics of their Unified Communications application while at the same time improving their employees’ working conditions. As a manufacturer of call and contact center software, Voxtron keeps in constant touch with its customers. Nearly all of the company’s 30 employees spend a large part of their workdays on the phone. Accordingly, there was a need to equip all workstations with telephones that give employees optimum ergonomics combined with the highest possible audio quality. Acoustics are especially important to Voxtron, as the company offers a Unified Communications solution capable of reproducing a wide frequency range via proprietary IP codecs — a technology appreciated by many customers who combine Voxtron’s software with other UC solutions like Microsoft ® Office Communicator. “A configuration like this requires wideband headsets. 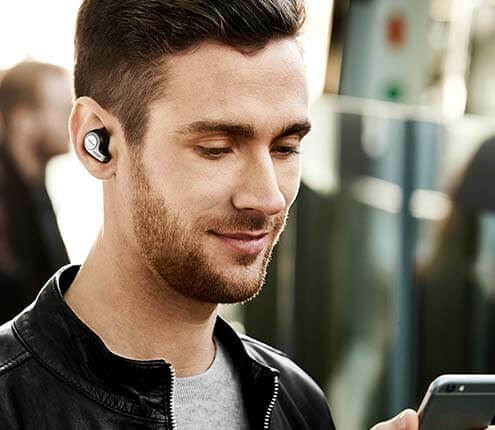 After researching the market and also drawing on our experience with call center installations for our clients, we decided on Jabra headsets,” says Ralf Mühlenhöver, Managing Director at Voxtron. In order to find the most suitable headsets, Voxtron teamed up with a Jabra sales consultant to analyze the needs of the various positions in the company. Together they identified the optimum solution for each department: programmers and support staff who never leave their workstations were given corded Jabra BIZ™ 2400 USB headsets. Back office and sales staff who sometimes need to leave their desks to fetch paperwork were given wireless Jabra GN9350e DECT headsets. And finally, the management uses the top-of-the-line Jabra PRO™ 9470, which is compatible with desktop phones, cellphones and softphones at the same time, covering all communication channels and ensuring uninterrupted reachability. After the introduction of the new headsets, Voxtron observed an improvement in the working environment in every department. “Our employees feel more comfortable, even after long phone conversations. And because they’re now able to use their keyboards without any obstacles and even leave their desks during a phone call, they feel more independent and more productive,” Mühlenhöver reports. Customer response has been positive across the board, especially with regard to the high audio quality. 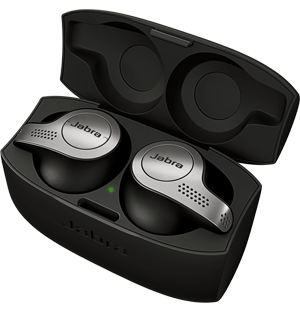 A very positive feature of the Jabra headsets is how they boost productivity. “The average duration of a call has been reduced by 10 percent thanks to improved employee mobility,” says Ralf Mühlenhöver. In addition, Voxtron observed a reduction of instances of neck and back pain, previously resulting from employees twisting shoulders and necks as they tried to hold the receiver. Now Voxtron is planning to reduce the number of corded headsets. “Even though our development and support staff don’t require the same degree of mobility, we plan to increase the number of wireless headsets gradually over time in order to offer all our employees the same level of convenience,” explains Mühlenhöver. The international Voxtron Group has manufactured communications software for the corporate market since the early 1990s. Voxtron’s portfolio comprises products for voice portals, call and contact centers, Unified Communications (UC), Computer Telephony Integration (CTI) and special applications.